Pakistani national Alshair Fiyaz’s net worth is estimated to be at US$ 3 billion. He hit headline when he bought the yacht Ecstasea which was built for Russian billionaire Roman Abramovich for USD 75 million. Richard Wormald revealed the information to the court after the prosecution had cast doubt over the trader’s defense that he was getting his investment ideas from associates including Fiyaz and not from his friend at UBS. The prosecution said it was “odd” for him to receive tips from his trading buddies, but to place the trades before them. Choucair responded that he went first, because the sums he was trading were less likely to move the market. The jury heard that disseminating false rumours in the market could amount to a criminal offence. Mr Fiyaz, 46, has not been charged with any offence. The Pakistani billionaire was not named on the FCA’s indictment and has not been in court to answer the prosecutor’s questions in person. Mr Choucair faces five counts of insider trading filed by the FCA along with Fabiana Abdel-Malek, a former compliance officer at UBS whom the regulator alleges passed Mr Choucair confidential information on companies that the Swiss bank was advising. Insider trading carries a maximum seven-year sentence. Alsahir Fiyaz’s father is Raja shamshad Hussain. He is now based in Islamabad and has business interests in real estate. His brother Raja Sajjad Hussain and son Ameel Sajjad were found involved in a VAT scam and UK’s Assets Recovery Agency had seized their property estimated at £1.7m. Since 2006, they have not returned to the UK. The Agency had alleged that they acquired properties in London and Hounslow from the proceeds of unlawful activity connected to VAT fraud. They have large real estate concerns in Pakistan as well. 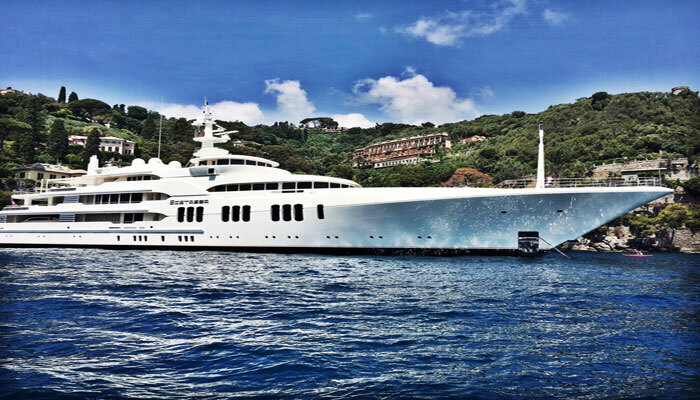 In 2009 Abramovich sold the yacht Ecstasea to the Crown Prince of Abu Dhabi: HH Mohammed bin Zayed Al Nahyan; the son of Khalifa bin Zayed al Nahyan, the Emir of Abu Dhabi. In 2014 the Crown Prince sold Ecstasea to Pakistani billionaire Alshair Fiyaz for a sum of USD 75 million.